AllRefer.com > Pictures & Images > This Adelie penguin, recently returned from foraging, is feeding its chick, has been waiting for its parent's return for several days. This Adelie penguin, recently returned from foraging, is feeding its chick, has been waiting for its parent's return for several days. 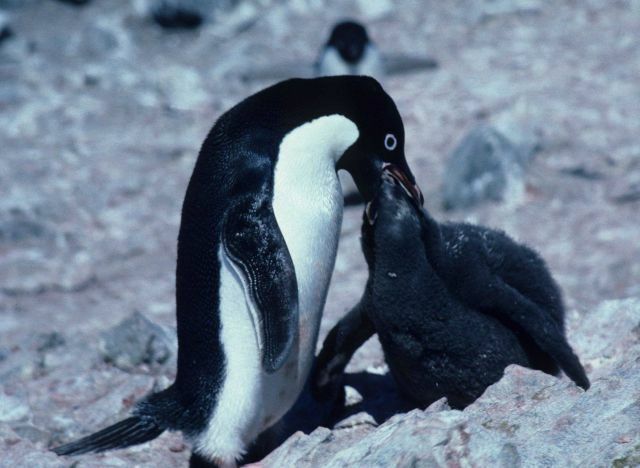 This Adelie penguin, recently returned from foraging, is feeding its chick, has been waiting for its parent’s return for several days.